Seven years ago, I wrote a memoir about life with minipigs. In this gentle and illuminating study, Matt Whyman embarks on a journey to uncover the heart and soul of an animal brimming with more energy, intelligence and playfulness than he could ever have imagined. 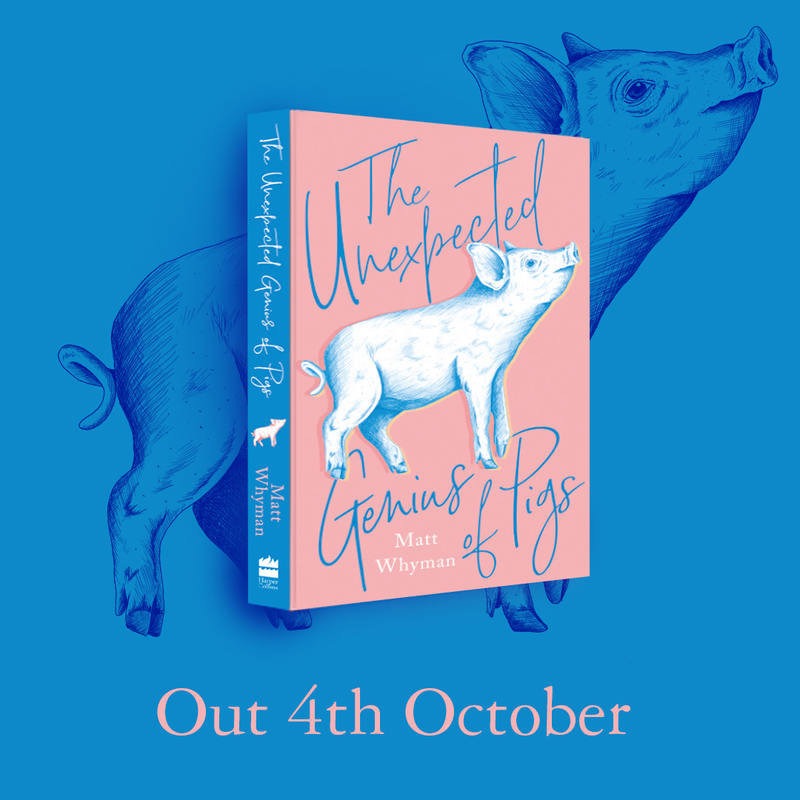 In his bid to understand what makes a pig tick, having climbed a steep learning curve as a keeper himself, Whyman meets a veterinary professor and expert in pig emotion, as well as a spirited hill farmer whose world revolves around hogs and sows. Packed with fascinating research and delightful anecdotes, this entertaining and informative celebration of all things porcine covers everything from evolution, behaviour and communication to friendship, loyalty and broken hearts – uncovering a surprising notion of family along the way. The Unexpected Genius of Pigs is published in the UK by HarperCollins. Available in hardback, ebook and audiobook (read by the author).